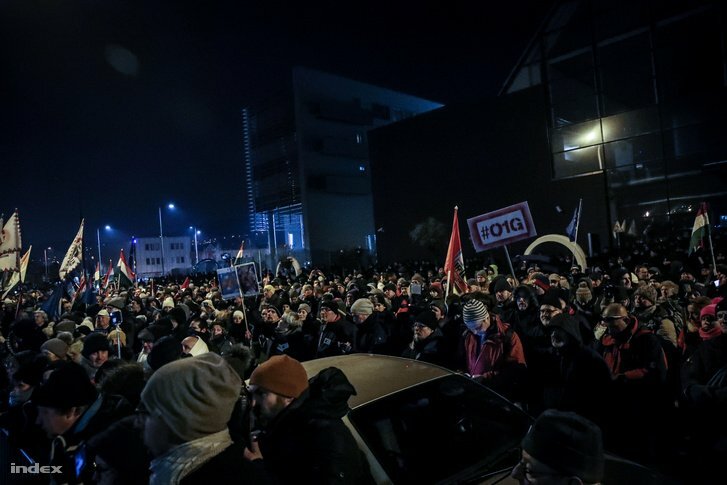 Balázs Bárány of the HU Socialist Party has taken advantage of the opportunity that he was invited to pro-gov EchoTV and read out the five points of demands of the Hungarian opposition. The host tried to interrupt, but he failed. 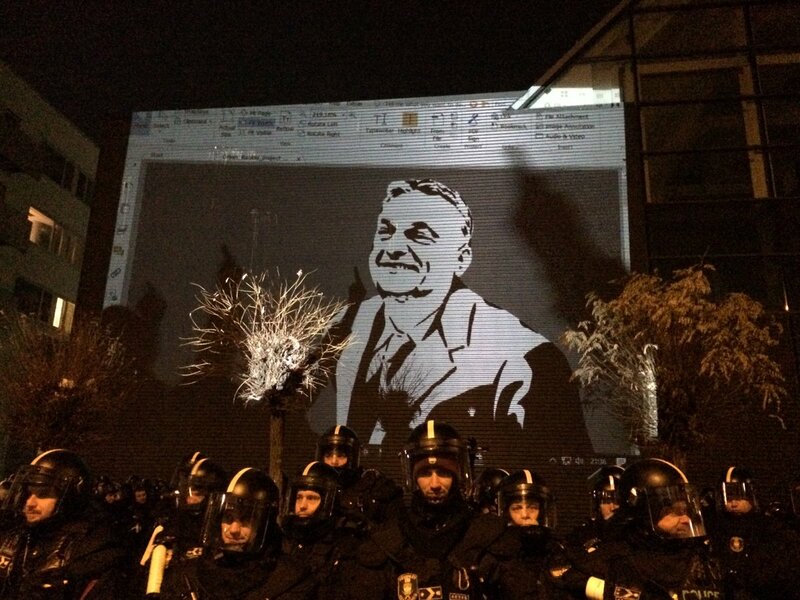 Protesters at Hungary's state TV HQ projecting images mocking Orban and old friend (and gas fitter turned tycoon) Lorinc Meszaros. 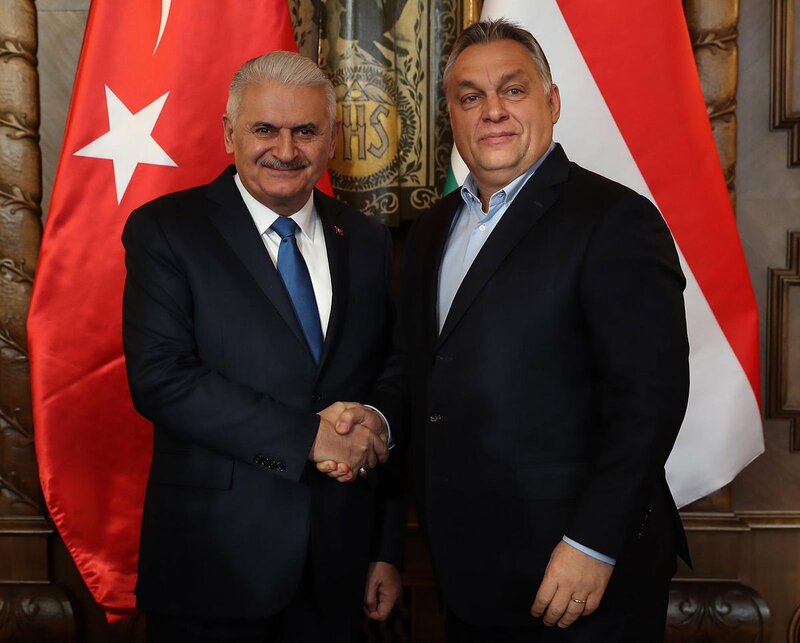 Speaker of Turkish parliament Binali Yildirim has visited today Hungary's PM Victor Orban in Budapest. President Thaçi at UNSC tonight: Nothing extraordinary happened last week in Kosovo. Moreover, we are late 5 years in creating our Army. What we did was a natural step. Tell me please, what is extraordinary here Nothing. Nothing at all. 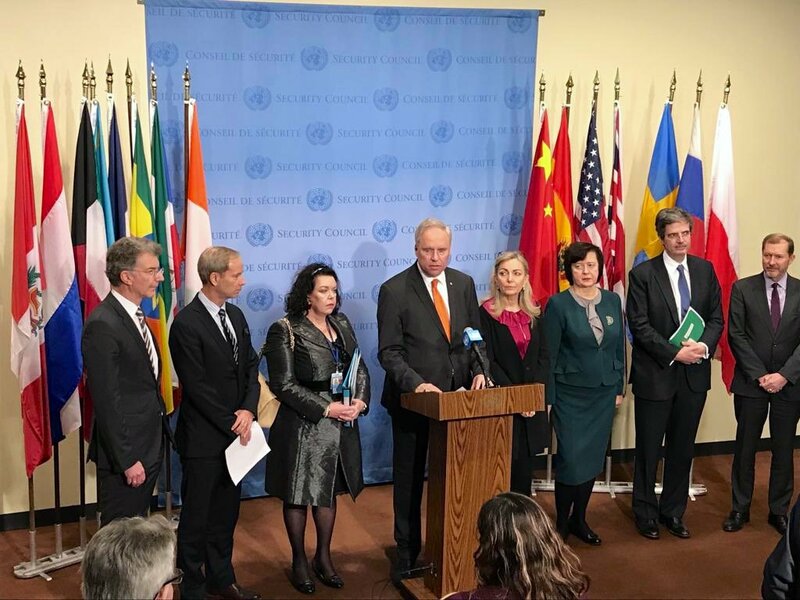 Dutch FM: Just read out this statement on Kosovo on behalf of former, current and incoming Security Council Members from the European Union. 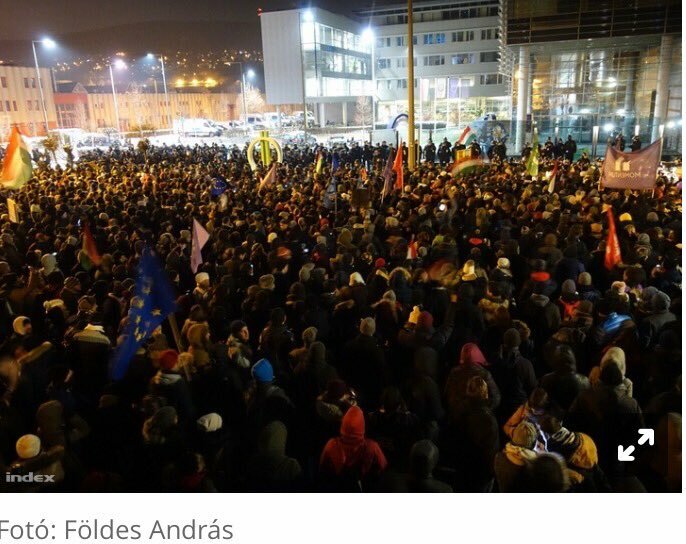 Budapest protest: General strike will be organised if OvertimeAct / SlaveLaw is signed into effect by János Áder. 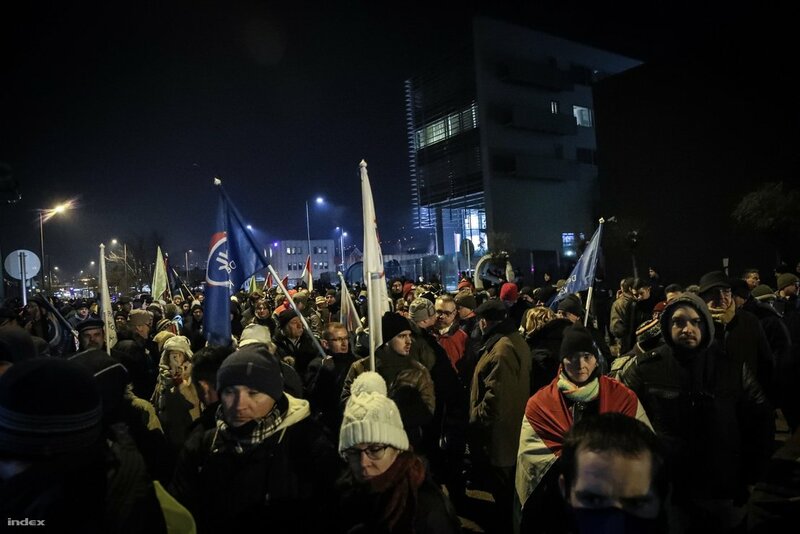 Protesters are urged to voice their dissent in countryside offices of Fidesz media politely but firmly. Ryan Fox, a cybersecurity expert for the Texas-based firm New Knowledge, told the WSJ that "several hundred accounts on Twitter and Facebook" that are involved in the yellow vests movement "are very likely controlled by Moscow". 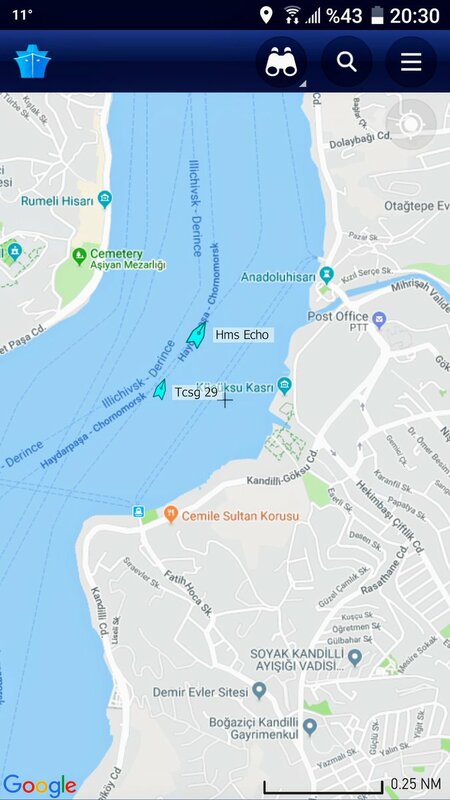 Freedom of Navigation in the Black Sea: Built by Appledore Shipbuilders in Bideford, Echo class HMS Echo is armed with 20mm, Mk44 7.62mm guns. 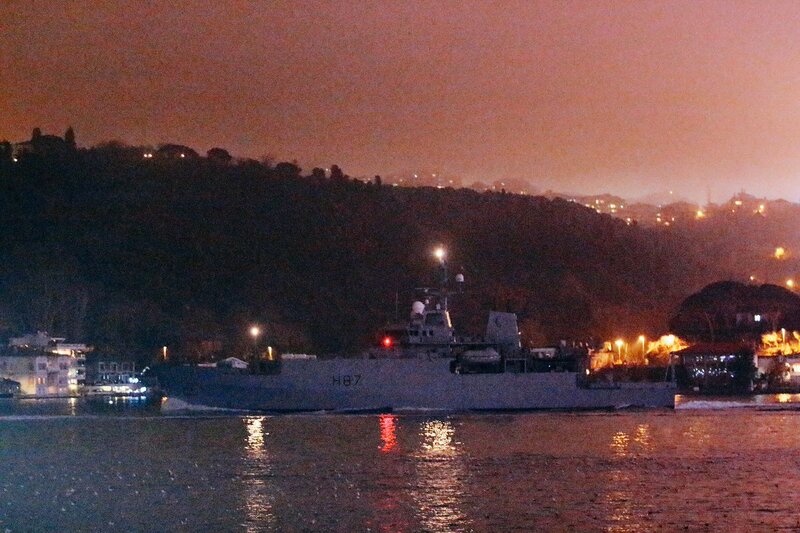 HMS Echo entered Black Sea at 18:00GMT, escorted by Turkish Coast Guard TCSG29. She can remain for 21 days according to Montreux Treaty. Poland's central bank governor blamed political enemies for entangling him in a corruption scandal and pushing the country to join the euro area against his wishes. A powerful bomb detonated outside a building near Athens that houses one of Greece's major broadcasters. The explosion caused serious damage to the building, but no injuries. 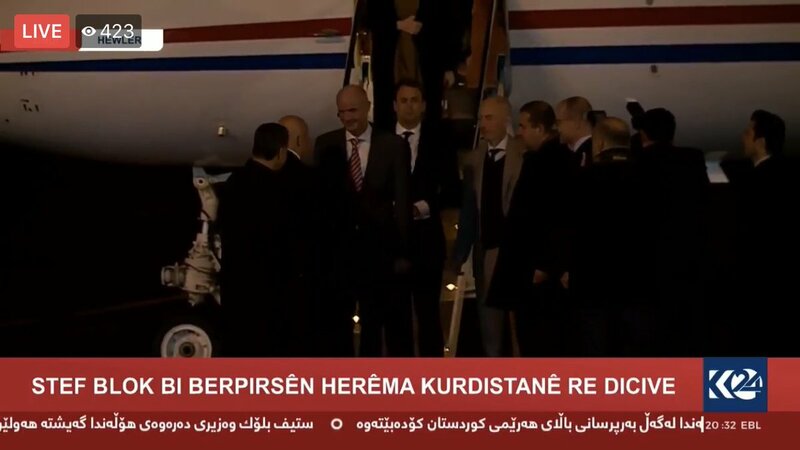 Netherlands Foreign Minister arrives in Erbil, capital of the Kurdistan Region. He will meet with the KRG officials tomorrow. Now: about 1000 have turned up in sub-zero temperatures to this remote suburb to continue the weekend's protests. 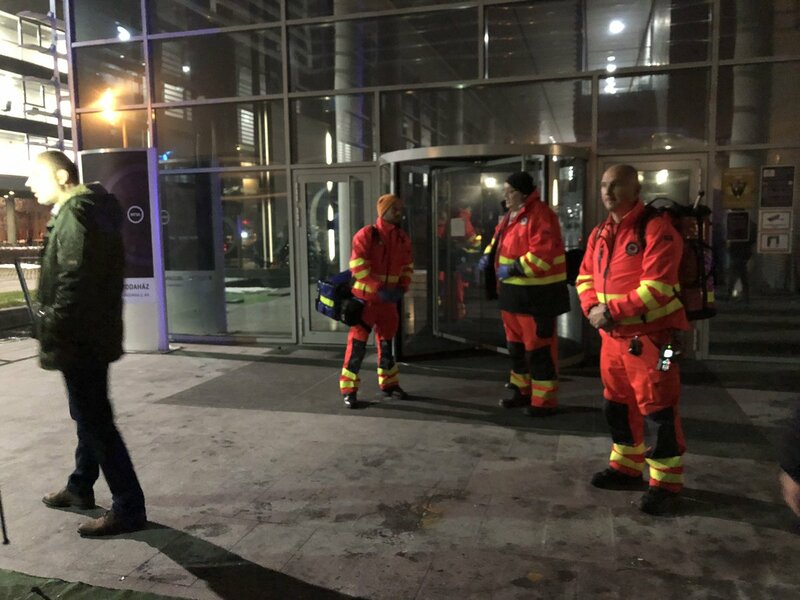 László Varju, one of the socialist MPs at state media HQ was taken to hospital with a bruised knee and ribs after some pushing and shoving @ with security guards. Meanwhile, evening protest at the building has started. 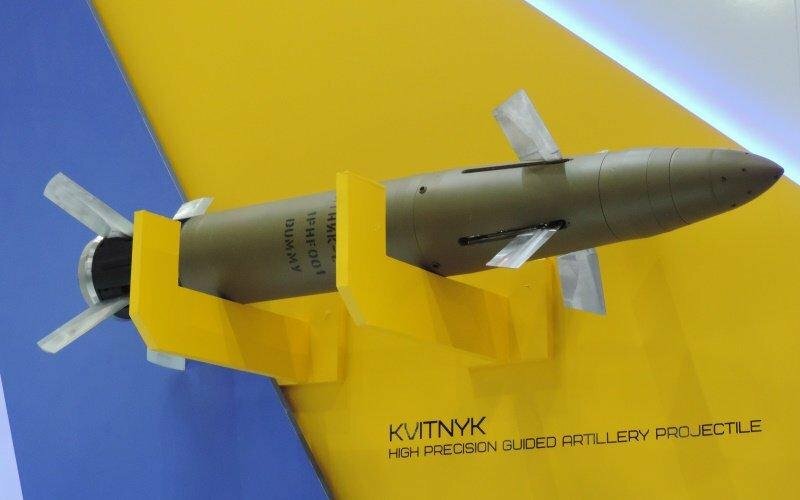 Ukraine's state-run defense industry UkrOboronProm says a new 152mm high precision-guided artillery projectile ''Kvitnyk'' is ready to undergo scheduled testing. Projectile has a range of 20 kilometers and it's precision is said to be within centimeters. Strasbourg attack: 2 suspects were arrested and placed in custody. They are suspected of being linked to the provision of the terrorist's weapon (AFP). 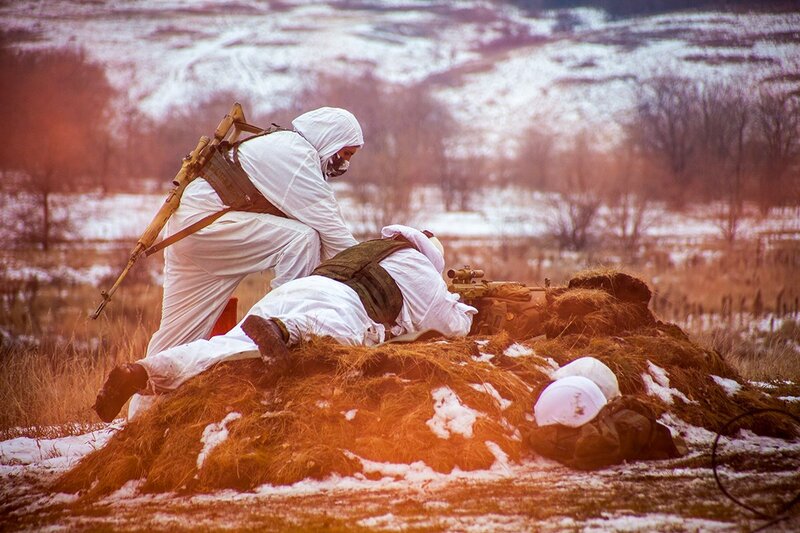 The number of victims of the explosion in a private house in the village of Sygyngjag of Masalli district increased to three. Two more children died on December 17 in a hospital from their burns. 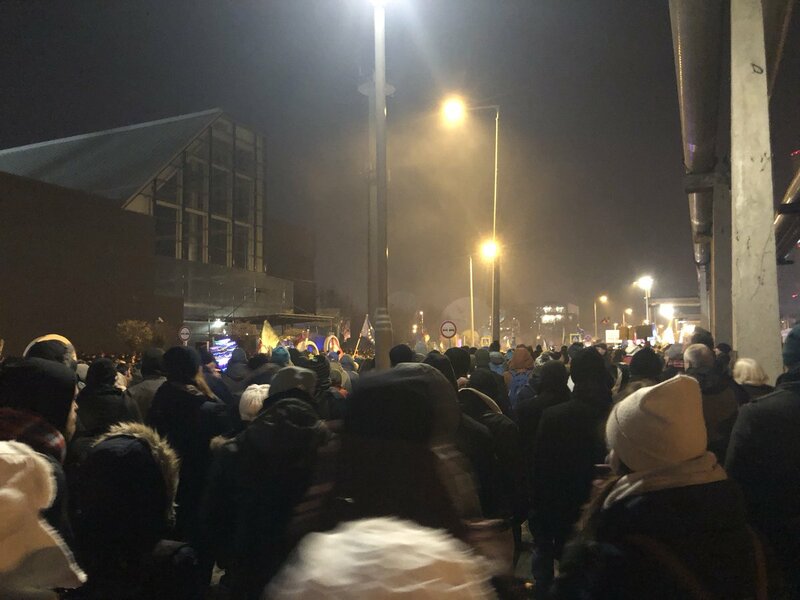 Budapest: There are still apparently around 10 opposition MPs still inside the state media building, in addition to the lawmaker who was surrounded by security guards. They have been surviving on food from 3 vending machines. 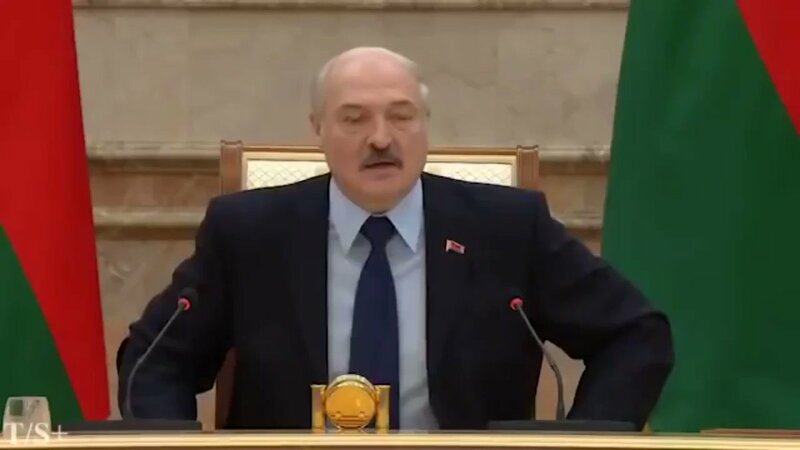 Lukashenko: I asked Pashinyan who is main arms supplier for Baku? - Ask Putin! Are you afraid? Ukraine's Vice Premier @IKlympush says she feels a "direct threat" from Russian foreign minister Lavrov's remarks accusing Kyiv of taking aggressive actions against Moscow. 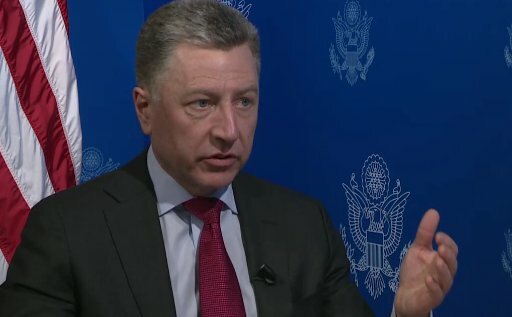 "The West has done absolutely nothing.that would address what Russia has done" to Ukraine in the Azov Sea, says @SpecRepUkraine Kurt Volker, or to stop it from happening again. 'Whoever talks about borders of our country, any kind of correction, is an enemy of our country', Haradinaj tells Mogherini in a seething attack on her. 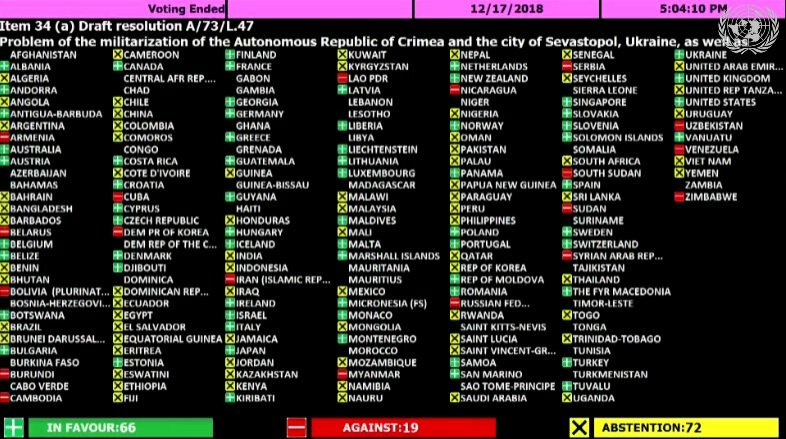 And, clearly taking another swipe at President Thaçi. Jobbik MP came out, said there's about 10 MPs inside, one laying on the floor, police won't go in. Paradmedics waiting at the door. "We have to be very clear in how we talk about things," @SpecRepUkraine Kurt Volker at @MartensCentre event. 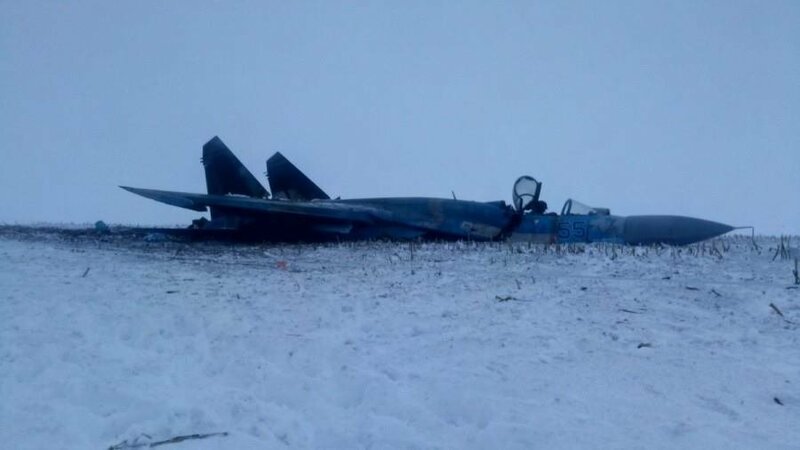 "Ukraine is under attack.there's a war going on." He says Russia still denies direct responsibility for its role in the Donbas. Prime Minister Theresa May has told MPs a second referendum on Brexit would do "irreparable damage" to the integrity of British politics and a further vote would "further divide our country at the very moment we should be working to unite it"
[email protected] on US/European response to Russia's attack on Ukraine vessels near Kerch Strait: "We have to look at the basket of sanctions.some kind of deployment for instance of a ship visit or 2 to the Black Sea to show presence, the British are having a ship visit today"
MTVA: oppo MP Ágnes Vadai is trying to police to go inside. She says there's another MP inside on the floor cuz guards knocked him down. Police won't go inside. She says the interior ministry prblby controls guards inside. 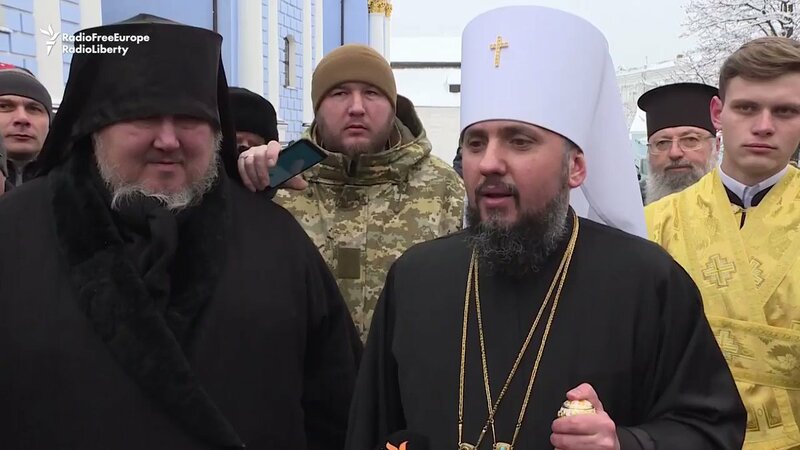 The leader of the newly unified Orthodox Church of Ukraine says he believes that all Orthodox clergy in Ukraine "will gradually reach the understanding that there is no other outcome than being part of this united Ukrainian church and building our future together." 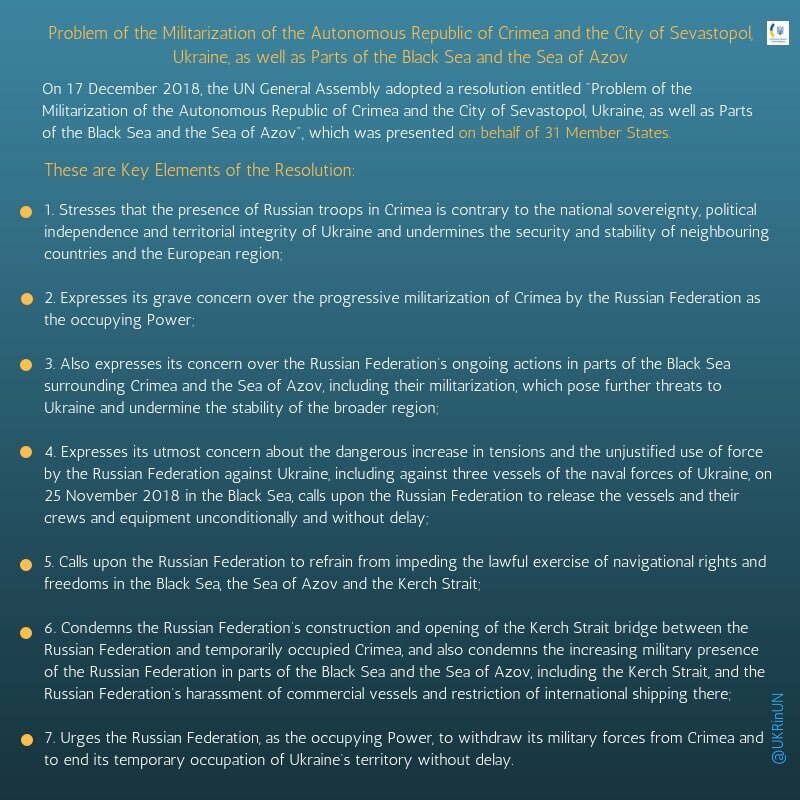 Tusk: The EU stands by Ukraine, also in AzovSea. 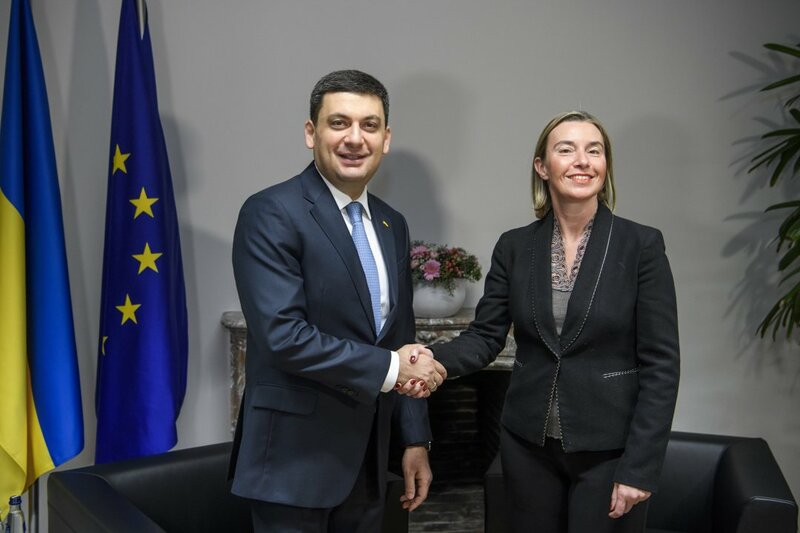 Good discussion with PM @VGroysman today on Ukraine's reform course. 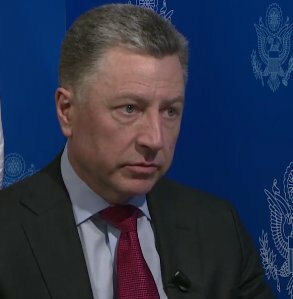 US @SpecRepUkraine Kurt Volker confirms Ukraine's claims that Russia has again built up forces on the border. 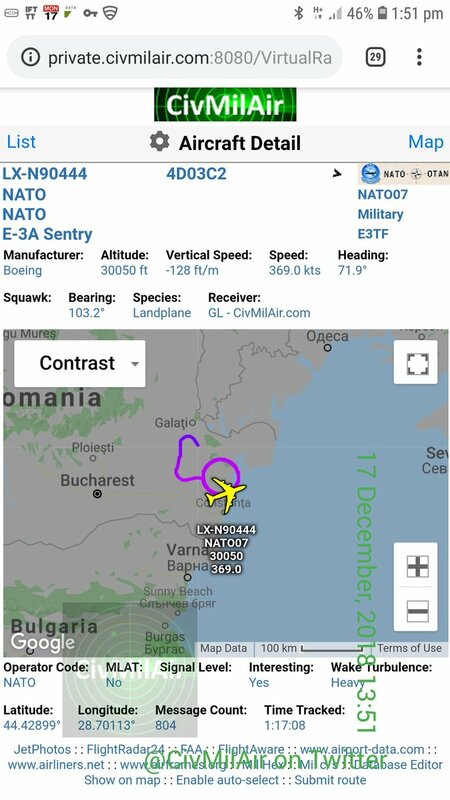 US and NATO officials have been reluctant to publicly discuss their observations. US @SpecRepUkraine Kurt Volker calls it "very unfortunate" and "inappropriate" that Hungary continues to block minister-level NATO meetings with Ukraine over Kyiv's language laws. He says such disputes should be worked out bilaterally, not by holding relations "hostage". U.S. Amb. to Nato: I met with @SpecRepUkraine Kurt Volker, Ukraine Amb to NATO Prystaiko and our Allies to discuss Russian malign influence in Ukraine. U.S. will continue to work with @NATO Allies and partners to prevent Russia from asserting any more unilateral control over the shared waters of the Azov Sea. 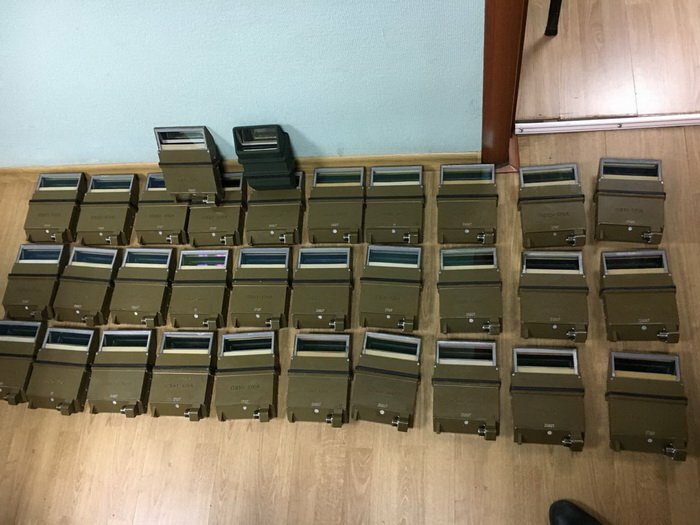 After the arrest of two people who were captured by Korça police with 423.8 grams of heroin-type drugs three days ago, the court has decided today to put 34-year-old prisoner, Marsel Xhakollari and Ledion Metollari, 36, in prison. The Foreign Ministers of Russia, Turkey and Iran are scheduled to meet in Geneva on December 18 The discussions will be focused on the political settlement in Syria with an emphasis on formation of a constitutional council. A Grove, East Bank Demerara construction worker is hospitalized after he was shot on Saturday night during police efforts to arrest him. Hahn: Since 2000 the EU's support to Serbia has totalled €3 bn in grants. 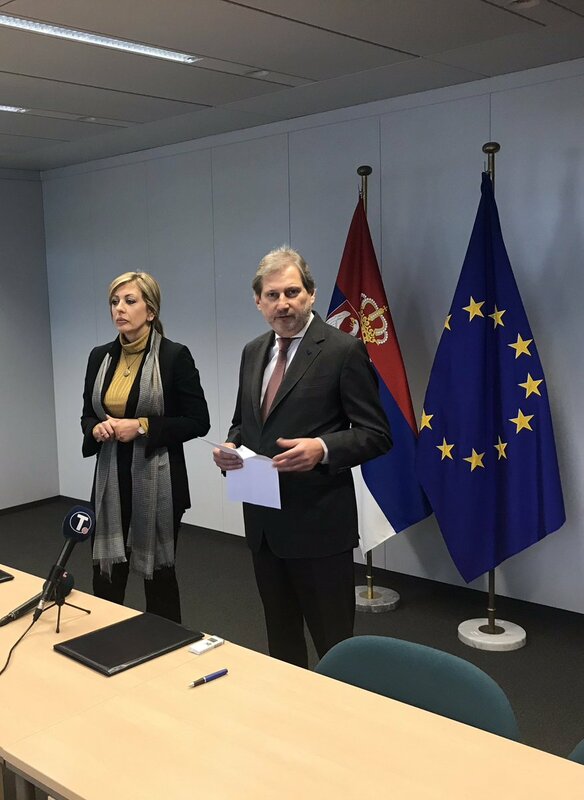 This financial support will help to strengthen the reforms which Serbian citizens rightly expect and will move Serbia closer to our common objective of Serbia becoming a member of the EU family. 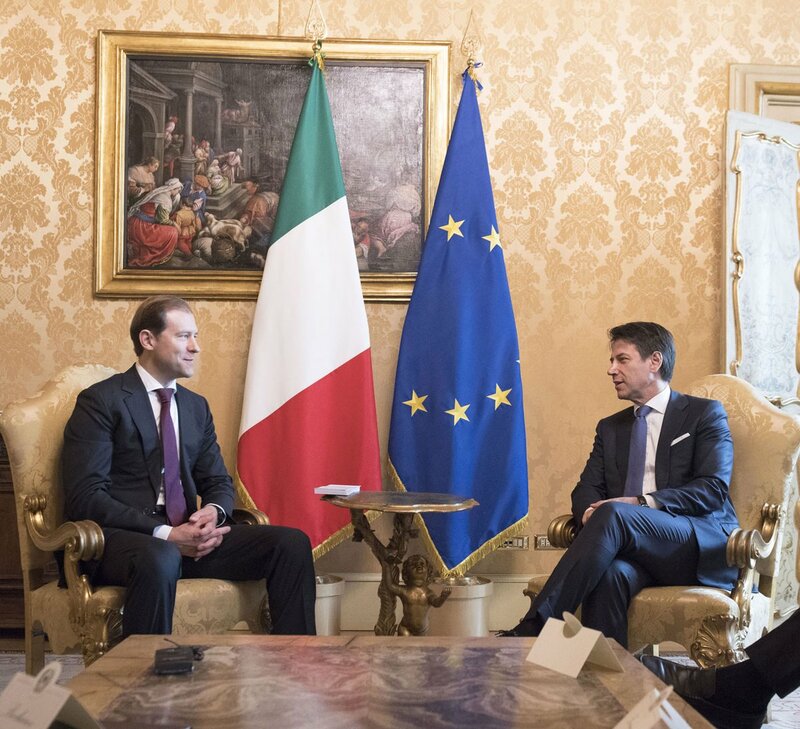 Italy: Italian PM Conte has met Russian Minister of Trade and Industry Denis Manturov. 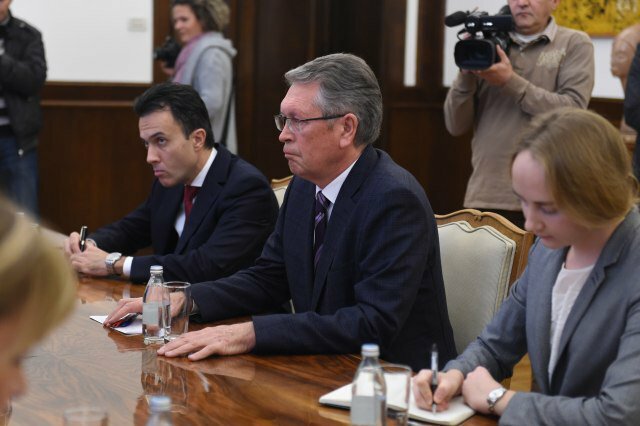 The Consul General highlighted the ongoing operations of Russia's oil giants in the region, noting that their continued work would "improve the economy of Kurdistan [Region]." 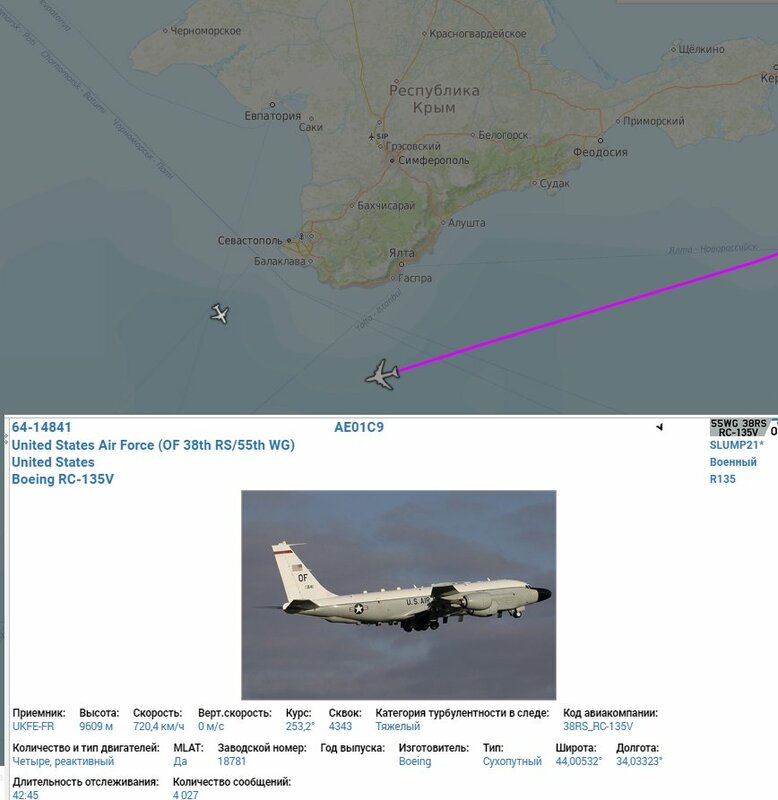 SKYBIRD call: USAF RC-135V "SLUMP21" on 11175 kHz reporting a "Brother". 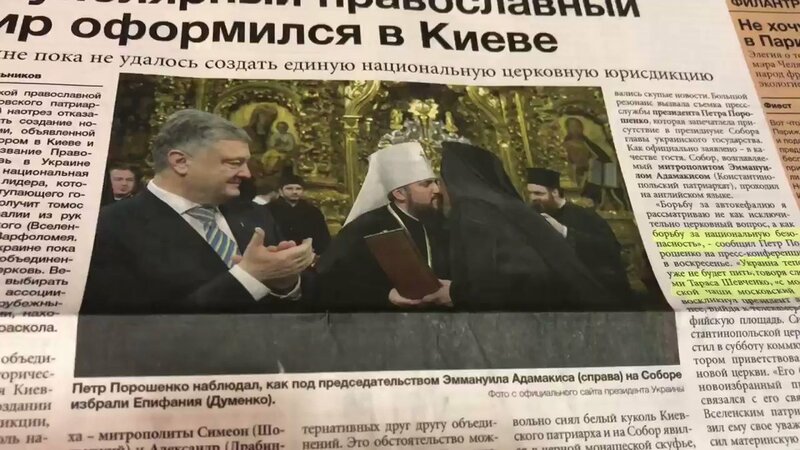 Aggressive tone in pro-Kremlin press over Ukrainian Church's split with Moscow. 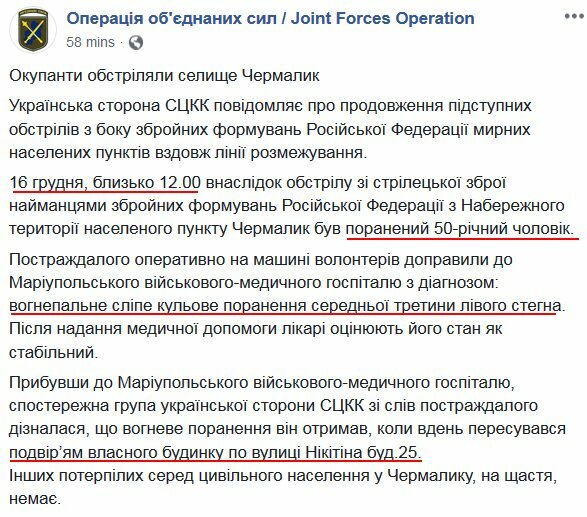 Russia's govern't paper calls Ukraine's new church "the church of war", accuses Kyiv of "leading Ukraine to edge of bloody abyss" and claims "only a miracle can avert bloodshed." This is what happens when an opposition MP tries to get air time on public media in Hungary. Akos Hadhazy is roughed up and dragged away by armed security guards. 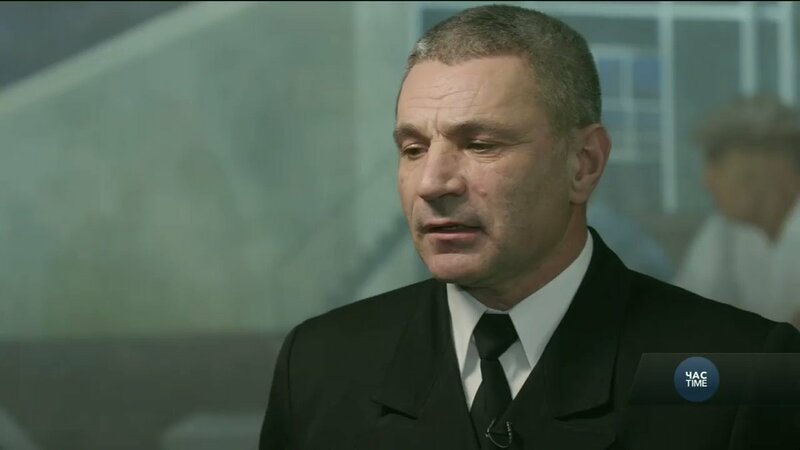 The Naval Commander of Ukraine @UA_NAVY Igor Voronchenko held a series of meetings at the Pentagon and the US Congress, Where he discussed the events in the Kerch Strait and Washington's assistance in the light of Russia's aggression. The head of Russia's ICBM force: new maneuverable Avangard ICBM warhead will go in combat duty in the Dombarovsky division in 2019; new Sarmat (SS-29) ICBM will start deployment at Urzhur division in 2021 (will replace SS-18). [email protected]: ..The Russian Witch Hunt Hoax, started as the "insurance policy" long before I even got elected, is very bad for our Country. They are Entrapping people for misstatements, lies or unrelated things that took place many years ago. Nothing to do with Collusion. A Democrat Scam. 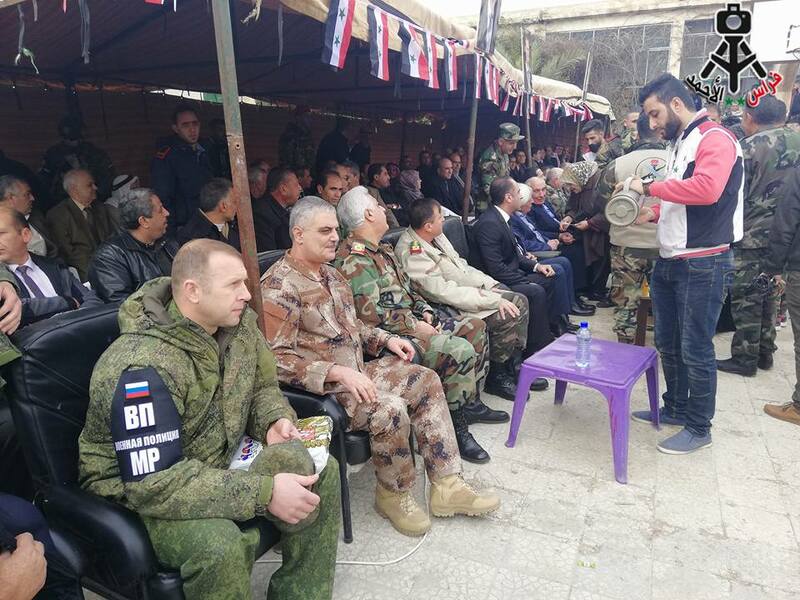 Syria: a ceremony with Russia n MP was held today in Ibta (NW. Daraa) as ~250 deserters officially joined Assad forces after "reconciliation". 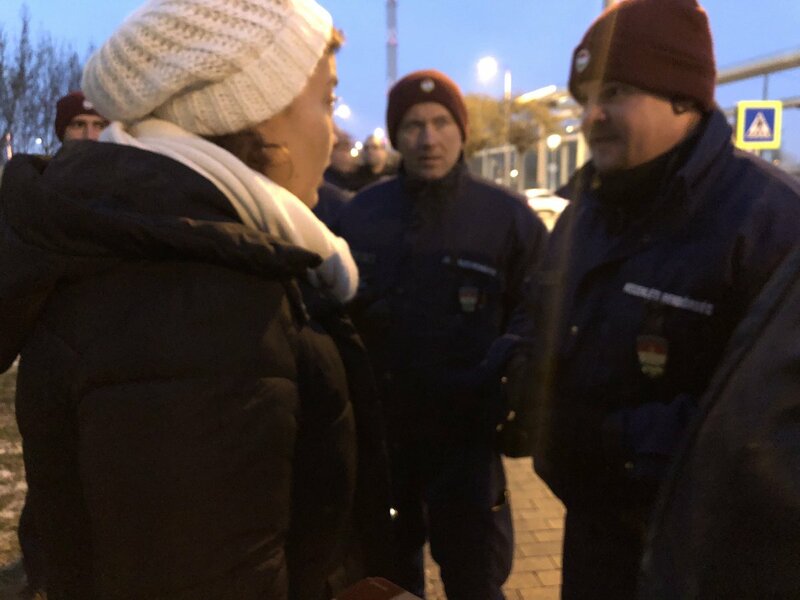 A Croatian watchdog organisation published video material today that it says proves that the Croatian police systematically and violently expel migrants and refugees from the country on the border with Bosnia. National Defense Minister Akar: In the Aegean, the Eastern Mediterranean, army will continue to protect our rights and interests. 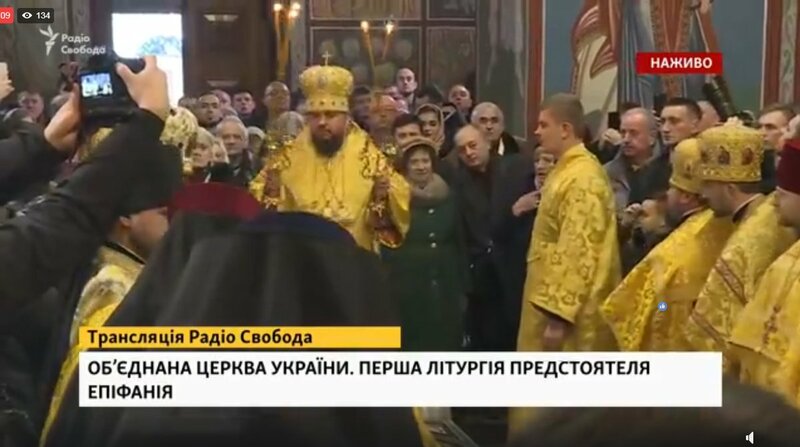 The first liturgy of the new head of Ukrainian Orthodox Church Epiphaniy.